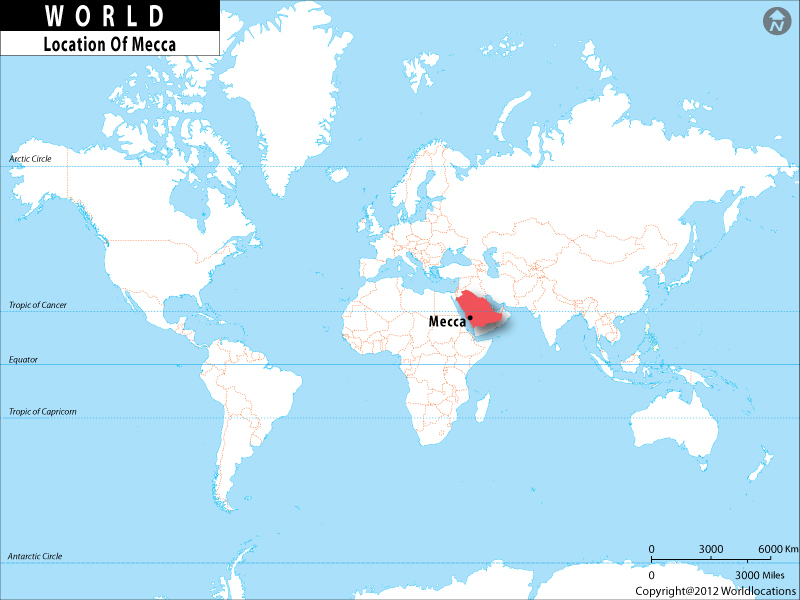 Map showing Where is Mecca, Saudi Arab located on the World Map. Mecca, also called Makkah, is a city in Saudi Arab. It is the holiest city for Islam.